The first step starts by clicking on "Choose Your Region"
One of our Servpro Franchise Expansion Representatives will contact you to schedule a phone call to address your initial questions as well as gather some additional information about your interest in joining the Servpro family. This is also a good time to inform us if you are seeking to purchase an existing Servpro franchise ”resale” or a new Servpro territory franchise. Here you will complete and submit a Request for Consideration (RFC) form and supply additional information as needed such as resumes, financial statements, tax return/s, etc., for our confidential review. For persons interested in purchasing a Servpro Franchise for the first time, we will provide you a link to our Franchise Candidate survey, through which you will be invited to complete a confidential survey online. This program integrates and utilizes seven different franchisee behavioral dimensions into one simple assessment, which helps us get to know you better. In this step of the process, we continue to assist you in gaining a better understanding of the Servpro opportunity from differing perspectives. Your Franchise Expansion Representative will answer any remaining questions and assist you as you continue your due diligence. You will be asked to speak with current Servpro Franchisees (our validation step) who are the best resource for understanding what Servpro is about. Consistent with Federal Trade Commission regulations, they will be your resource for information about earnings. Servpro does not provide financial representations to prospective franchisees. You will also be invited to complete a site visit, and attend our “Meet the Team Day” with a visit to Servpro’s Headquarters located in Gallatin, TN. We will send you a link to Servpro’s Franchise Disclosure Document (FDD), which is a standardized report, updated annually, describing in detail the Servpro Franchise opportunity, the status of the company, franchisee and franchisor obligations, typical costs to open a Servpro Franchise, an outline of our extensive training program, etc. This important and required step will prepare you for your next call with your Franchise Expansion Representative assigned to you with the objective to discuss all your remaining questions following your review of our FDD. Our Franchise Review Board is comprised of the Servpro Executive Team. Each file is prepared, discussed and individually reviewed and considered by our Review Board. For new sales, it is at this point that we may also explore the possibility of financing through Servpro. Financing is subject to approval by Servpro’s Executive Approval Committee and when approved extended for new sale acquisition only. Note there are many other non-Servpro financing options to include working with the Small Business Administration (SBA). If you are pursuing an existing franchise, or purchasing a resale, additional information may be requested/required as part of the Franchise Review Board process. Once all parties reach a mutual agreement to move forward, we will prepare and send franchise paperwork for your execution. Upon receipt of your executed license paperwork, appropriate funds and documentation of working capital, your acquisition is finalized. When all parties reach a mutual agreement to move forward, we will prepare and send the necessary documentation to begin our Business Development Process (BDP). At this point, a Franchise Business Consultant specifically assigned to you and a dedicated team of support personnel will begin to assist you in preparation for Servpro’s New Franchise Training Program. We've cleaned up pretty well so far. As the nationwide leader in Fire & Water Cleanup and Restoration, the SERVPRO Franchise Community has continually been recognized for its many achievements. 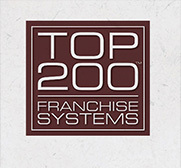 Forbes Magazine - 2012: Ranked #5 "Top 20 Franchises for the Buck"
Let our Franchisees fill you in. 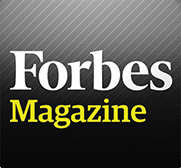 "If you are considering being a Franchise owner, the opportunity is just tremendous. You really control your destiny. If you're willing to work hard, follow a system, believe in a dream, you can pretty much do anything you want to do." "The support and training we get as a SERVPRO Franchise is excellent. I personally have been involved in other Franchises and this by far is the best for training and support." Since 1967, SERVPRO has been redefining the restoration industry. In addition to ongoing training at the regional level, we developed the National Training Center in 1992 to teach restoration and mitigation skills to Franchise Owners and insurance industry employees. Nationwide restoration deserves nationwide coverage. Branding is important for every successful company, and, thanks to national media coverage, our Brand is known across the country for being trustworthy and able to help make damage “Like It Never Even Happened.” SERVPRO is the only national restoration company that maintains a consistent national advertising program while leveraging top-tier sponsorships, strengthening our position as a leader in the commercial and residential restoration industry. What makes SERVPRO® such a unique value proposition? Offering a variety of much needed, on-going service lines, that are recession resistant. 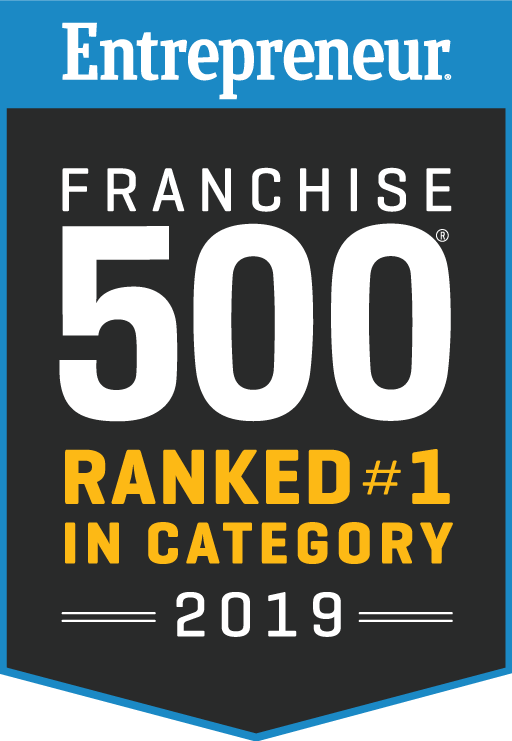 Being a part of one of the most successful U.S. service brands in history (as the premier restoration company throughout the United States, SERVPRO® has been rated #1 franchise opportunity in our industry with Entrepreneur Magazine since 2004). Ability to take advantage of an unprecedented level of field experience and support by the SERVPRO® development team. How much can I expect my Franchise to earn? Due to the maturity and diversity of the SERVPRO® brand, SERVPRO® does not provide a financial performance representation in Item 19 of the Franchise Disclosure Document. Within the SERVPRO® franchise purchasing process, due diligence through validation (speaking with and visiting current franchise locations) will guide you to an understanding of what your potential earnings could be. What types of services can be / are generally offered? How are Franchise territories determined? Using specific socioeconomic and demographic mapping criteria factoring in total population and poverty levels to get a net population amount; combined with the ability to meet certain SERVPRO® service level response requirements. Can I purchase more than one Franchise territory license at a time? While we have current owners with multiple licensed areas, only one new franchise territory license can be purchased at a time. 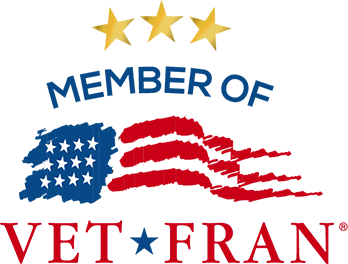 Upon meeting certain qualifying criteria over time (typically related to sales volume and personnel), the franchise may then be eligible to apply for and purchase an additional territory license(s). What are some of the typical business backgrounds, skills or experiences that successful new Franchise Owners possess? 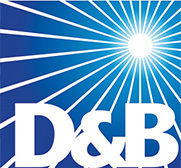 Damage Restoration Industry related sectors. Property management services (residential, commercial, governmental). Ancillary services such as plumbing, electrical, HVAC, roofing, remodeling, asbestos removal, renewable energy services, drain cleaning, etc. Construction / Remodeling – residential / commercial. A ready network of contacts in the property insurance sector. Understanding of property insurance matters to include adjusting, policy administration, coverage, sales, etc. Commercial Cleaning / Janitorial Services. How does SERVPRO® normally recruit new Franchisees? Our single best performing source of New Franchise Owners is current Franchise Owner referrals. Additionally, utilizing a strong internet presence, social media – Facebook, Google, & LinkedIn campaigns, National Media, and high-ranking Franchise industry publications. What intellectual property would I get from SERVPRO® as a new Franchise owner? The SERVPRO® unit operating model. The SERVPRO® on-going training systems and programs. The SERVPRO® Franchise support systems. The SERVPRO® Growth Model – (“Stages of Development”). The SERVPRO® state of the art loss and damage recovery and restoration technical science supporting field production operations. What equipment and products are part of the program? We have a catalog of core professional cleaning products. The majority of which we currently manufacture in-house (total 130+). What about the equipment I will need? 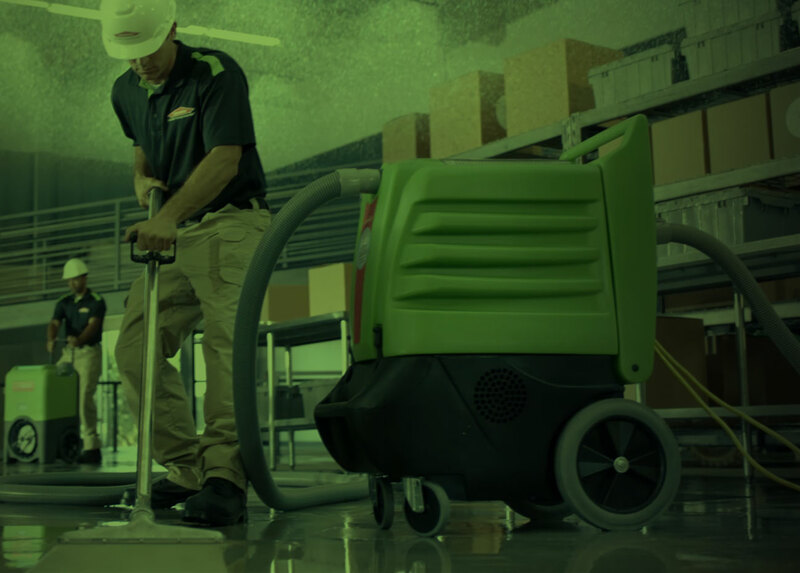 A specific SERVPRO® Branded Equipment Package is required and is a portion of the franchise purchase price. If you are converting from an independent mitigation business to a SERVPRO® Franchise– specific instructions will be provided on how your existing equipment can be accommodated. What kinds of training and support would I be receiving? Considered by graduates and owners to be among the most comprehensive and focused operations and business management training in the franchise industry today. Associate Franchise owners will complete an onboarding and pre-classroom program including home study and visits to an operating SERVPRO® Franchise, and a New Franchise Training Program (NFTP). Post-graduation / startup assistance continues for six months after commencing operations. Continuing education targeted training opportunities and classes. Extensive hands-on production training covering each of the services offered. A Business Development Program (BDP) Specialist will work with you to complete an information gathering checklist in preparation for attending the New Franchise Training Program held at the SERVPRO® corporate campus in Gallatin, TN (Nashville). This process begins 45 Days prior to coming to the corporate campus. New Franchise Training Program – 17 Days at the corporate campus. An in-depth program involving both classroom and hands-on training with industry leading instructors covering all aspects of successfully owning and managing a SERVPRO® Franchise. Assigned Business Development Program Specialist for monthly visits during the first 6 months of operations. Franchise Business Consultants (FBC’s) assist and support your on-going operations by helping you follow the SERVPRO® Operating System and Stages of Development Model. Are any special certifications required to perform SERVPRO® services? IICRC training and certification classes are provided during the New Franchise Training Program mentioned above. * New franchises purchased in California may be required to obtain a type of Contractor’s License to perform basic (non-Specialized) SERVPRO® Services. Who would be my target customer for lead generation? We have two classifications for the typical job, one being residential, and the other being commercial. Insurance Providers – Insurance Agents and Loss Adjusters. The opportunities are virtually limitless – any person or business that might experience some sort of a restoration need (water, fire, mold, vandalism, biohazard, etc.). How will I go about creating awareness and generating business in my Franchise territory? The vast majority of ALL business currently generated by the SERVPRO® franchise community comes from simply building and maintaining long-term personal relationships at the local level within their specific territory(s) with various key “Centers of Influence” (COI’s). This involves the Franchise Owner(s) along with the Franchise Marketing Reps’ networking with insurance providers (agents and adjusters), real estate professionals, property managers, various building trades (plumbing, electrical, HVAC, etc. 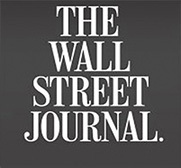 ), first responders (fire, police, EMS), and any other types of decision makers who can potentially send them business. Simply making them aware of who we are, what we do, and how we can help them. Over 85% of all purchasing decisions now start online, therefore, a professional website combined with Search Engine Optimization (SEO), and an effective social media presence are also critically important for consistently driving business and making the phone ring! As a SERVPRO® Franchisee, you will be required to contribute an amount specified in your Franchise Agreement to an overall marketing and advertising fund; which will then be used to perpetuate consistent brand awareness and consumer demand including – targeted TV and cable commercials (sports, weather, home & garden, etc. ), sponsorships programs (PGA, and other charities, etc.) along with industry related print and magazine ads. Finally, once you qualify, you will be allowed to participate in National Account Programs with the various national insurance providers and large commercial clients which are intended to drive additional business opportunities in your specific local area. As part of your initial training and on-going support, various resources are available on each of these topics. Our propriety “Emergency Ready Plan” (ERP) is just one example of what can be offered as a free service to our customers. What will my branding look like? SERVPRO® has a proprietary Brand Identity Guide that establishes and maintains a consistent professional customer facing image for brand awareness and professionalism. (may include a variety of vehicle types to meet specific needs and local requirements). Can I add ancillary services to my SERVPRO® business? Methamphetamine (Meth Lab) and Crime Scene (Bio-Hazard) Clean Up. Asbestos and Lead Paint Abatement. Rubbish Removal and Site Clearing. How would Franchise royalty fees be calculated, and how would they be paid? Specific fees and processes would be outlined in your Franchise Agreement. Royalties are paid on a sliding scale and would decrease in percentage as your sales volume increases. Franchise owners bill their customers utilizing Claims Processing Software and Intuit/QuickBooks™. Then the required franchise royalty payments are paid to SERVPRO® Corporate monthly. What about selling my existing license at some point in the future? This process will be clearly defined and outlined in your Franchise Agreement. When that time comes, SERVPRO® provides a “Resale Assistance Program” (RAP) and guidance to help connect buyers and sellers. Will I need a retail storefront presence? You will NOT need a retail store front. However, you will be required to have a warehouse/office location in your assigned territory from which to conduct business. This is generally in an industrial or commercial business park area.